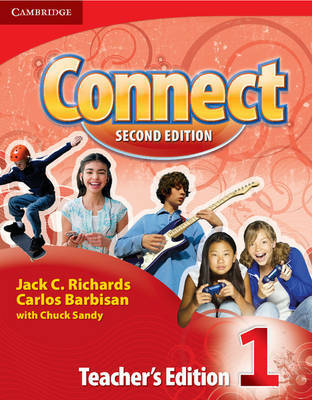 Connect, Second Edition, is a fun, four-level, multi-skills American English course especially written and designed for young adolescents. The comprehensive, interleaved Teacher's Edition 1 provides step-by-step instructions to present, practice, and review all new language for Student's Book 1. It also features the audio scripts, optional exercises, and informative notes.